Jackmail is the first WordPress Plugin including a professional SMTP server. On the front end, it’s a feature complete newsletter plugin that integrates nicely with other WordPress functions, taps into the power of automation and tracks and reports on subscriber behavior. Jackmail 1-year old and has been downloaded over 60,000 times. Its free version allows you to send up to 100 a day. 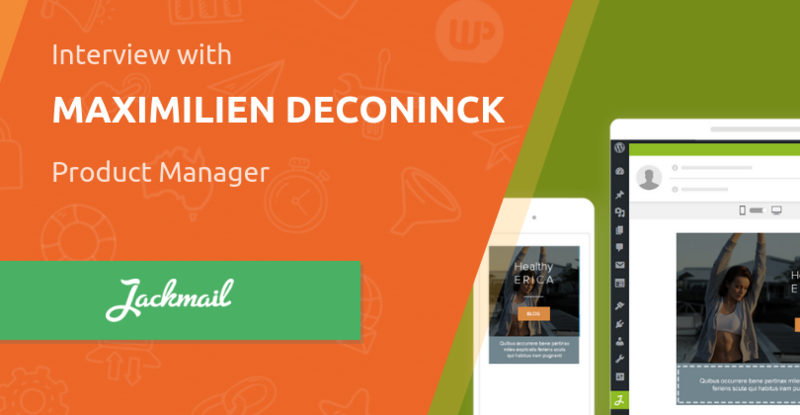 My name’s Maximilien, I’m a 27 year old project manager for Sarbacane, a French Email Marketing Company. I started as a web developer but manage now a small team of developers. I’m in charge of the Jackmail Project, a newsletter plugin for WordPress. How did you get started with Jackmail? It came from an idea: What if we duplicate the Sarbacane editor, and integrate it into a CMS like WordPress? Most of all, what if we bring the SMTP inside? No one does that! And voila! In a nutshell, what does Jackmail do? Basically, it’s a very common newsletter plugin, except it includes its own SMTP platform so you don’t have to fiddle with complicated settings. Its drag & drop editor is very powerful and is integrated to WordPress to make it easier. Well, anybody can be our customers. SMB’s, little eshop, bloggers, big companies. Anyone who want to send newsletters to an audience using its website. How does Jackmail differentiate itself from other plugins as well as established providers such as MailChimp and Campaign Monitor? Well, Jackmail is a WordPress Newsletter plugin. Which means you can do everything without leaving your lovely WP-suite. The other mentioned above are only connectors to get the RSS feed or contact list. You have to head to their platform to edit and send. Email marketing is becoming more sophisticated with segmentation, automation and detailed reporting – what are Jackmail’s more powerful features? We include a lot of powerful features like the one mentioned here: segmentation, automation, and detailed reporting. With Millennials embracing app messaging, what is the future of email marketing? What’s in the pipeline for Jackmail in the next 12 months? We have a lot of features incoming. We want to go deeper in the automation we already provide, and want to propose to send every emails of your WP with Jackmail (SMTP for evey sendings) like the one of WooCommerce for example. Aim big, Go Big ! 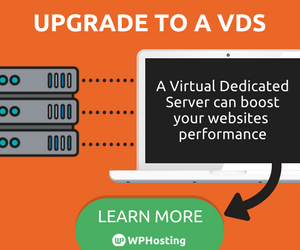 An exclusive offer to readers of the WP Hosting Blog. Valid until 30th June 2019. Simply enter the WPHOSTING discount code when purchasing the four plugin bundle.